Super Saturday’s! The Best Football Coaching in Cheshire. The Best Football Experience a Child Could Wish For. We run Saturday morning football coaching in Wilmslow all year round for children aged 18 months (Little Strikers) to 12 years of age. All levels of abilities from the complete beginner to the most accomplished players are more than welcome. 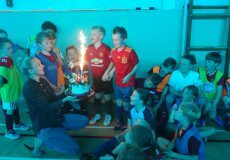 Wilmslow Football Academy is renowned for providing the best football coaching in Wilmslow by the hundreds of children that attend our sessions every week. Saturday morning football coaching in the grounds of the beautiful Phoenix Sports Club on Styal Road in Wilmslow, (directly opposite the entrance to Styal Country Park) is the highlight of the week for parents, kids and coaches alike. The atmosphere is always warm and friendly whatever the weather and the WFA coaching staff guarantee not only a warm welcome but the best football coaching in Wilmslow! Its not only our coaches that will greet you with a smile, Sean the Coffee man from Café 2 You is always on hand as well as Santo our resident ice cream man! Players are split up into age appropriate groups so that they warm up and train with other children of their own age and size. The first hour of the two hour session is dedicated to drills and skills with no more that 10 children per coach. Once they have worked on basic techniques and ball mastery, they have a short break before they are put into teams to play the next hour in a tournament supervised by the best young coaches in the business. Visit our “Meet the Coaches” page to read about who they are and their footballing backgrounds. 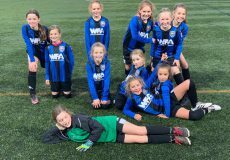 The emphasis at Wilmslow Football Academy is on the players enjoying the game, learning to play with a smile on their faces and respecting the coaches, the rules of the game and other players. We have been established since 2002 and have learned over the years that happy players make the best pupils. 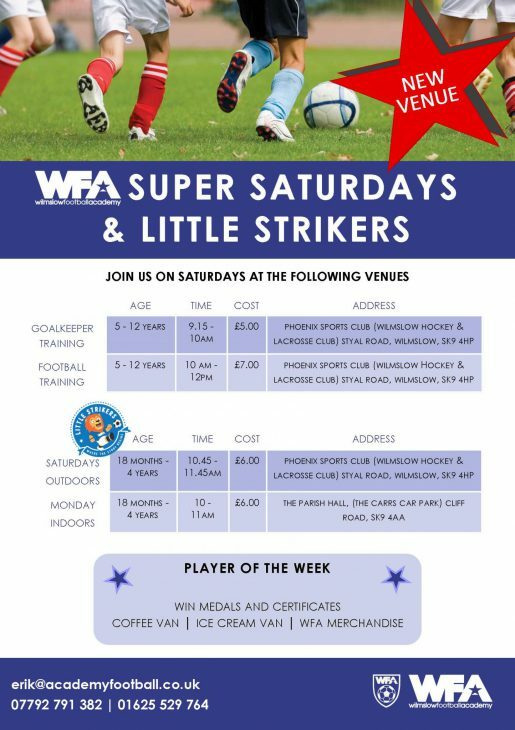 What is extra special about WFA is that each Saturday there are 15 coaches on hand, almost all of whom have been through WFA when they were children. They have been coached in the WFA way, gone on to play for WFA’s Wilmslow Town FC and then progressed to taking their own coaching badges or taking Sports Science at high school before coming back to WFA to coach. There is no doubt that our coaches know exactly what is expected from Head Coach Erik Garner, because he coached them to play football throughout their formative years and now teaches them how to coach! At the end of each session all the players, coaches and parents gather round to watch the Player of the Week Awards whereby each coach singles out the players they think have earned the special certificate and the converted WFA medal! There is plenty of car parking space in the club car park adjacent to our pitches. We often get asked “have you had any stars come through the ranks at WFA”? The answer is simple. Thousands. Every kid is a star. Non-fizzy drink, snack, footwear (football boots and /or trainers) and clothing suitable for all weather. No booking required. If you want to join in, turn up, pay and play. All you need to do first is register with WFA either online or complete and print the forms and bring them on the day. Registration is free. Continues as usual throughout all school holidays! £7.00 for a two hour session.